Much of Civil War history is untrue. Like most history it is written by the victor. The story told is that millions of Southern men went to war over an issue that only affected 6 percent of the population. Such absurdity is readily seen. The deception must not continue. Read this book and learn the truth. There was no shining Northern force fighting a moral battle for the sake of ending slavery. There was no oppressive Southern force fighting to preserve it either. After the South declared its independence, the Union ruthlessly invaded, leaving Southerners no choice but to defend themselves. Unfortunately they lost that struggle and have suffered for nearly a century and a half because of it. 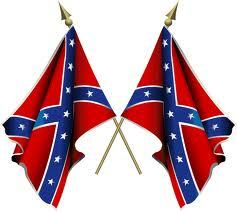 The South has become an economic colony of the North, used and exploited like colonies throughout the world. Politically, the North still controls the government and continues to impose its radical social agenda on the rest of the country at the expense of individual liberty. Meanwhile, the Supreme Court, the first federal department to infringe upon the rights of sovereign states, continues to suppress any efforts to reclaim liberty for the individual from the federal government. Today, as a result of the war in which the South lost its right to be a free country, there is a continuing effort to obliterate all symbols dear to Southerners. This is a form of cultural ethnic cleansing. There is the oddity in which Southern states have fewer rights under the Constitution than other states. Home to one-third of the population, the South is represented by one out of nine justices of the Supreme Court, and that only after the greatest struggle. 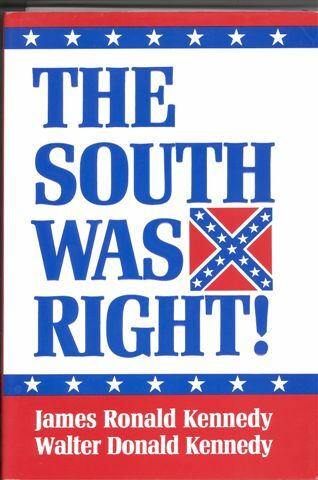 Sure to be one of the most controversial books of the decade, The South Was Right! is an attempt to set the record straight. Nearly a century and a half after the war, the Confederacy still exists and an order of New Unreconstructed Southerners is calling for its reunification. Brothers James Ronald Kennedy and Walter Donald Kennedy represent the spirit of other patriots like Lech Walesa, Light Horse Harry Lee, Aleksandr Solzhenitsyn, and Mohandas Gandhi who inspired their people to regain their independence. This book is filled with documented evidence supporting all the Kennedys' claims and issues forth a frighteningly realistic picture of a captured people, their struggle to preserve their heritage, and their right to exist as an independent country and as a distinct culture. Descendants of Civil War soldiers, James Ronald Kennedy and Walter Donald Kennedy are founding members of the League of the South and have held posts with the Sons of Confederate Veterans for several years. While promoting their books and ideas, they have spoken at numerous conferences, participated in reenactments of Civil War battles, and been interviewed by hundreds of radio and television stations. Reclaiming Liberty, Was Jefferson Davis Right?, Why Not Freedom! America's Revolt Against Big Government, and Myths of American Slavery.